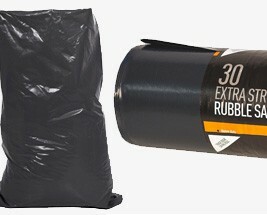 Our rubble and refuse sacks are manufactured for carrying sharp debris and industrial waste. They are suitable for carrying glass, metal as they are strong and tear-resistant. They are excellent for heavy duty use in all industrial, commercial, and domestic settings.